Admit it, deep down, you’ve always been a scarf and bandana hoarder. The itch to give your ensemble the proverbial kick always leads to a strikingly printed little square. With Anamu’s recycled-bandana clutches and cuffs, you can have your fix and wear it, too, which means you can pare your avalanche of natty neckerchiefs down to a more manageable drift. If anyone can empathize with your scarf fixation, it’s Anamu’s founder and designer, Ana Maria Muñoz. Driven by a need to collect and—lucky for you—recycle everyone’s favorite accessory, Muñoz debuted her collection of repurposed accessories in 2009. 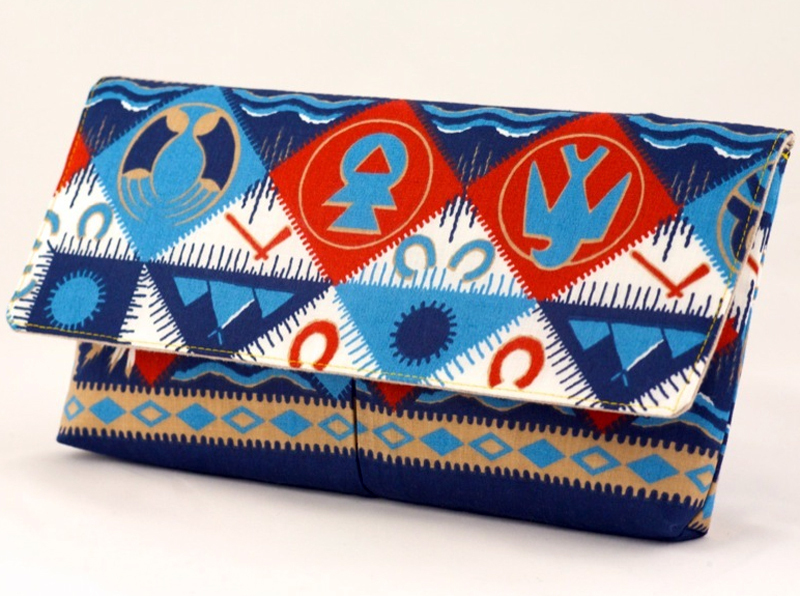 Each Southwest-inspired piece in Anamu’s “Go Native” line resonates with history and vintage flair. The Australia native and resident Angeleno graduated from California State University, Northridge with a bachelor’s degree in merchandising and a minor in business marketing. A background in all things fashion and an affinity for flea market culture inspired her collection, which, needless to say, is lovingly made from repurposed materials. Each Southwest-inspired piece in her “Go Native” line resonates with history and vintage flair yet remains undeniably modern—the perfect testament to classic Americana from the neck down. 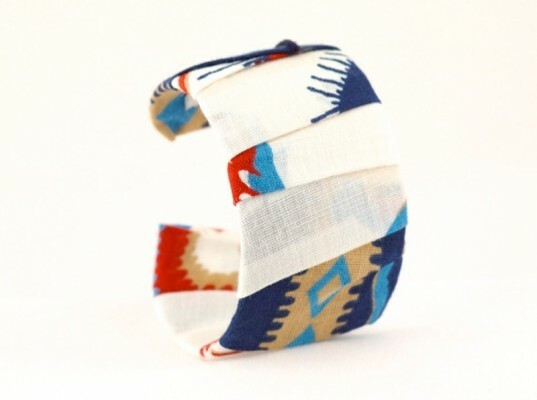 Admit it, deep down, you've always been a scarf and bandana hoarder.�The itch to give your ensemble the proverbial kick always leads to a strikingly printed little square.�With Anamu's recycled-bandana clutches and cuffs, you can have your fix and wear it, too, which means you can pare your avalanche of natty neckerchiefs down to a more manageable drift.